What makes a product so alluring that you'd leave your grocery store line to investigate it? So appealing that it would trigger double takes and instigate conversations among store employees? * I want the product to be a unique addition to a the market. Yes, you can sell your home-made cookies but what makes these cookies special? * And perhaps most importantly, I want the product to be one of the best versions of that item that I've ever tasted. Graphic design may draw me in, but I won't be a return customer- no matter how much information I have on the product- if it tastes unremarkable. This brings me to Churchkey Can Company. I saw a link about the beer on twitter, went to their website, and chuckled as I watched their intro video: "It's Worth the Effort". 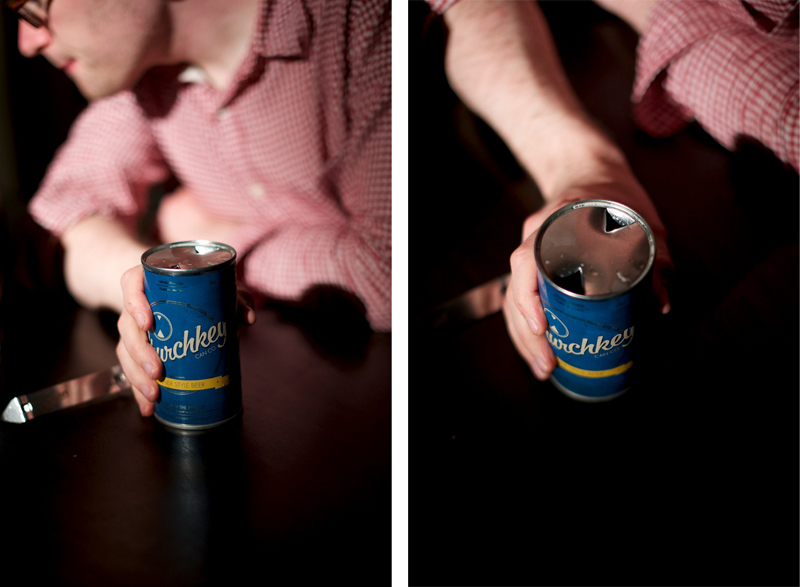 Before the 1960s, a churchkey was the only way to open a can of beer. 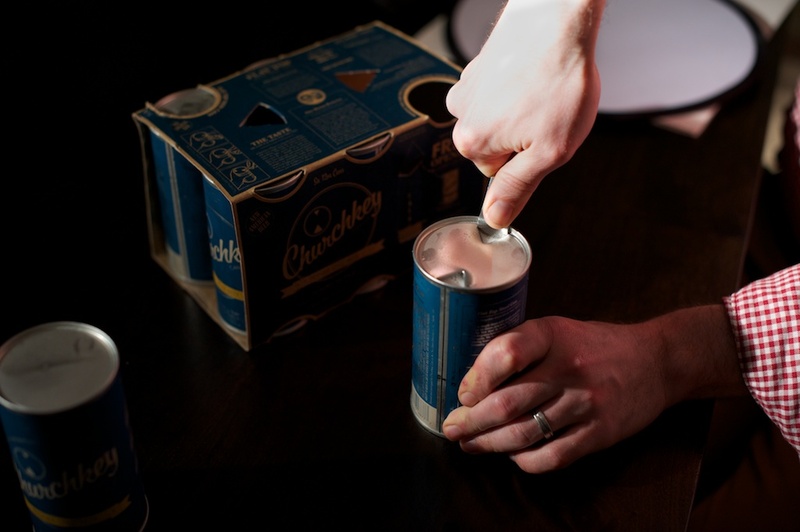 I remember seeing a a churchkey at my grandparents' house, but not understanding why they had one when you could open cans with a tab. Randomly, Churchkey is partially connected to Brooklyn, in the form of Adrian Grenier. The Entourage actor lives in Brooklyn and his name would occasionaly pop up in blogs when he worked his shift at the Park Slope Food Co-op (or when he was falsely accused of skipping his shift: he has apparently switched to the new Greene Hill Co-op, and hasn't ducked out of Park Slope's mandatory work shifts). Grenier visited Portland a few summers ago and met up with designer Justin Hawkins (formerly of Wieden and Kennedy). 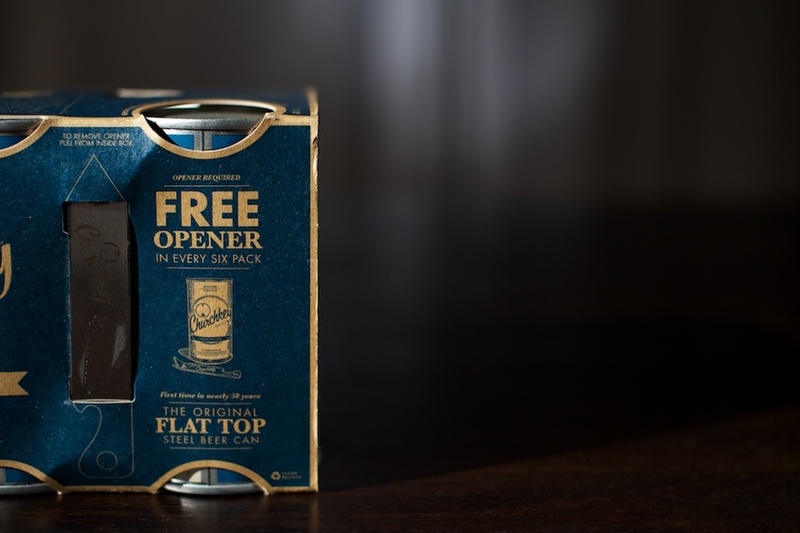 According to Portland Monthly, "they bonded over the charm of vintage beer can designs" and began to formulate an idea for re-introducing flat-top beer cans. But, in this beer-centric city, the kitsch of opening up a can with a churchkey couldn't possibly keep Portlanders' attention for long: the beer still needed to taste uniquely exceptional. Grenier and Hawkes brought in two homebrewers, Sean Burke and Lucas Jones, to develop a modern tasting pilsner for the churckey can. After hearing about Churchkey, I filed it away as something to try in the future. Several weeks later, while standing in line to buy a loaf of bread at Zupan's, Justin commented on a cool looking blue six pack the person in front of us had just purchased. The person had already left and I asked Justin if he had seen the name. 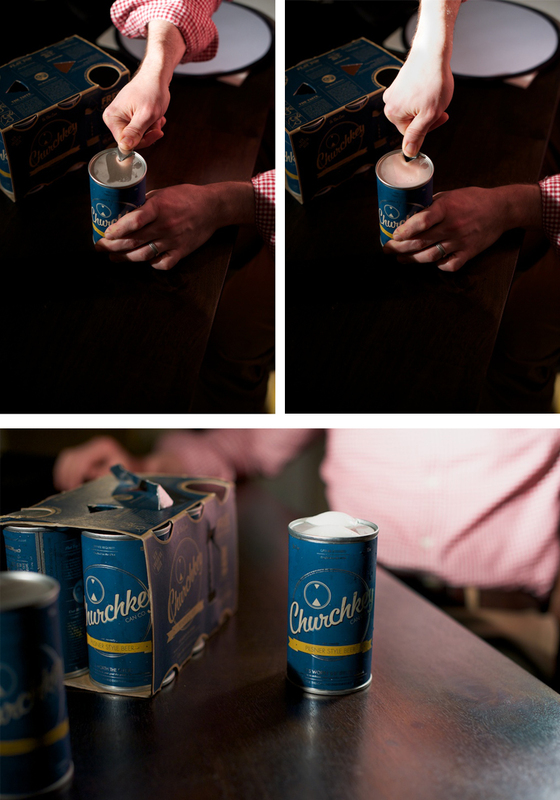 I have an uncanny ability to pull names out of thin air, and even though I hadn't thought about Churchkey for a few weeks, and the only information Justin had noticed was a "cool looking blue" box, I mused, "I wonder if that's Churchkey?" We left our line to go back to the beer section to check, and my hunch was confirmed. We rejoined the line with a Churchkey six-pack, prompting our checkout clerk ask us about the beer, and another employee to pull a 180 to catch a glimpse. Talk about exceptional graphic design and branding! And in this more nostalgic time, whether you pine for the 1990s or 1890s (I don't think anyone is pining for the 1790s), Churckey's creators capture a desire many of us have for hands-on, sensory experiences. It's surprisingly fun to crack up the flat top and watch the beer foam up. My only caveat with buying the beer again is that I now own a churchkey. 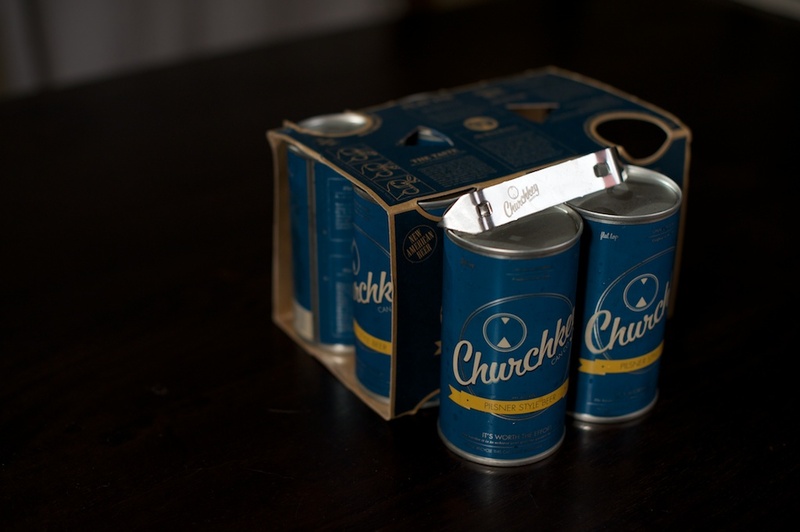 The next time I want to purchase these flat-top cans, I don't want to buy another churchkey. 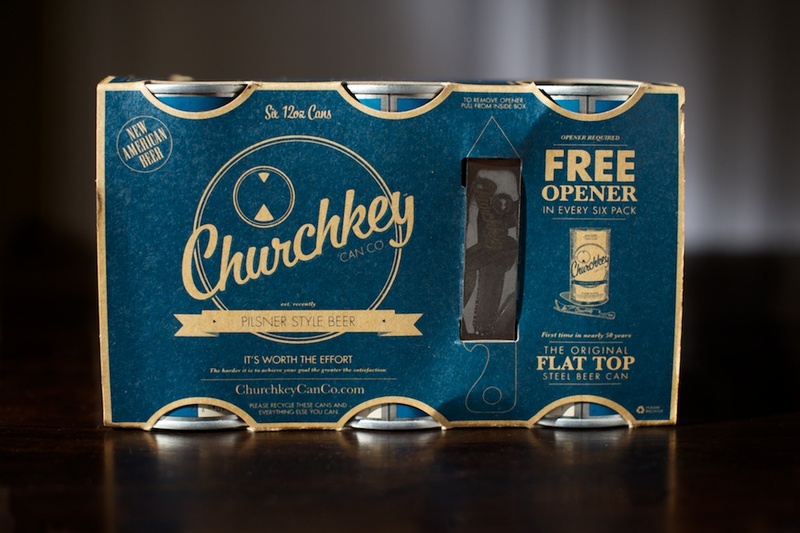 While it makes sense to include the keys with every six pack in the initial release, for their next release, I hope to see six packs that are churchkey-free! A few weeks ago, I planned a bike ride that took me from our house in Portland's Sunnyside neighborhood down to the Crystal Springs Rhododendron Garden and back, roughly 10 miles in total.